An app I’ve been working on, ‘Subtitles Viewer’ is now available on the App Store! Click here to download. Subtitles Viewer allows you to download subtitles on your iOS device, and then watch the subtitles synched to the movie/television show you’re watching. 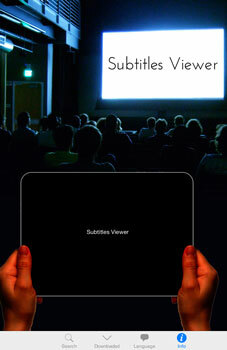 Useful for those moments you’re at a cinema watching a movie, and you need subtitles in your native language.